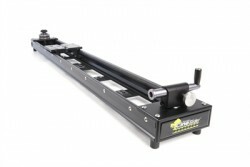 The build quality of this lightweight slider replacement that can expand from 2.5' to 5' is excellent. The travel is smooth and quiet - excellent for run and gun shooting. This is a smaller version of the Dana Dolly. 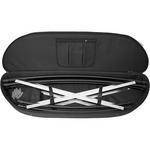 It provides rock solid support for 100 lb. payloads. The Dolly and 6.3' of track fit inside a 50' flight-ready Pelican 1610 case. 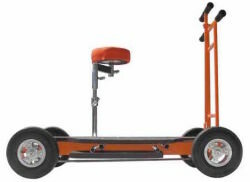 Like the Dana Dolly the travel is very smooth. 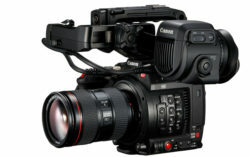 Two C-stands and a tripod head are included. The Second Shooter™ features 100% repeatable motion control for live-mode, looping, time-lapse and stop-motion applications. Second Shooter™ receives feedback communication from digital-encoded motors in determining motor positions to ensure precise control. Second Shooter™ provides users with ultra-smooth and quiet motion control. 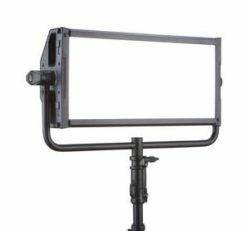 The One Man Crew Director is a 36" motorized parabolic slider that lets you add cinematic motion without needing a dedicated operator. Able to handle loads weighing up to 22 pounds, the slider also features remote control functionality, letting you setup and control the slider from your mobile device. Additionally, the app can control camera start/stop recording. 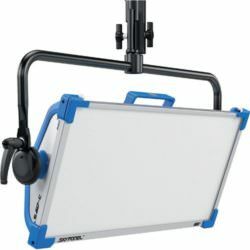 The One Man Crew Director is quick to set up and easy to use thanks to intuitive controls and laser-assisted subject placement. It is able to capture nearly every shot typically found in interviews, including wide master shots, "two shots", and closeups. 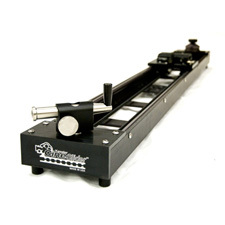 In addition to interviews, the slider is also well-suited to product shots, b-roll inserts and time lapses. 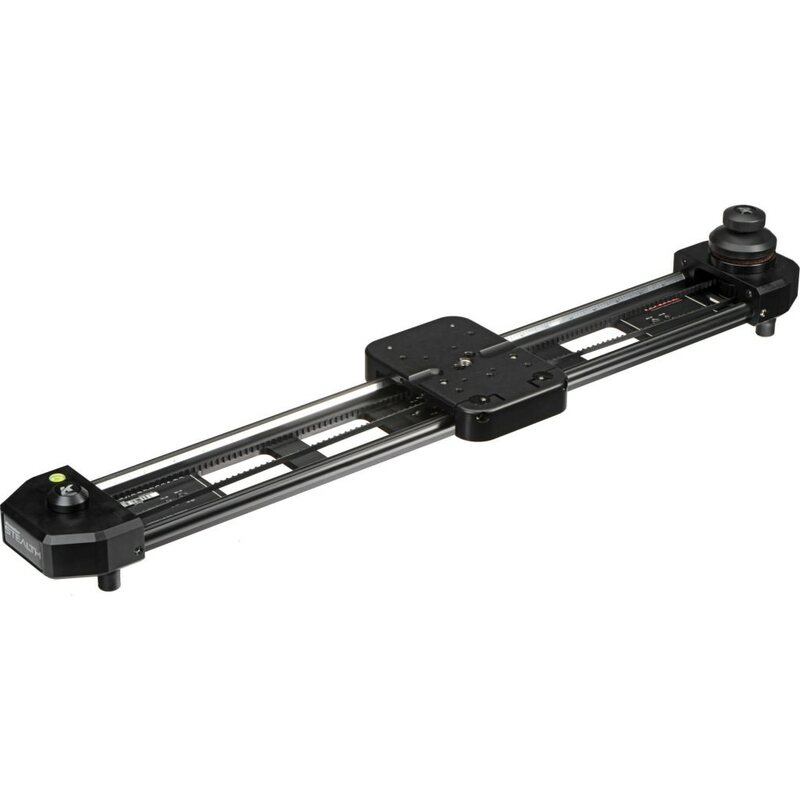 The curved rail helps keep your subject stationary within the frame and in focus without the assistance of an operator. With the ability to quickly reset the slider for your next interview question and adjust the speed on-the-fly to match the pacing of the interview, the remote app is an invaluable tool for single-person crews. You can even use gesture control on your mobile device to control the slider without ever having to take your eyes off of your subject. This is an extraordinary tool! At just 39.5" in length and 7.5 pounds, the Pocket Dolly is very portable. 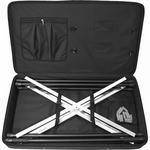 Length 60.5" Travel 51" Weight 12 lbs. Load capacity 80 lbs. Features include drag control and locking, handle with adjustable arc diameter for ultimate movement control, smooth rolling precision stainless steel ball bearing Delrin wheels, and multiple mounting option. Motor optional. Length 40.5" Travel 35.5" Weight 10 lbs. Load capacity 80 lbs. The curved track is housed in a compact case. No tools required for set-up. The 12 foot straight track section is housed in a compact case. No tools required for set-up. 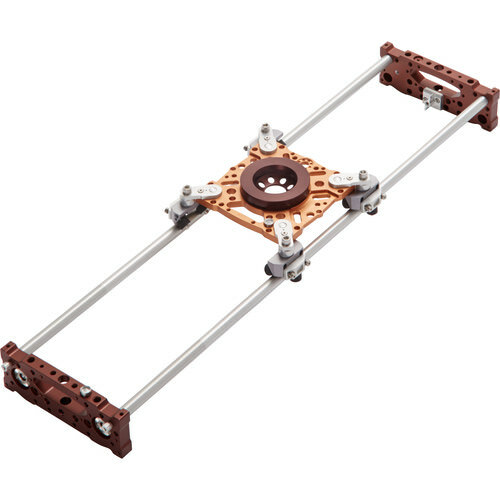 The Indie Universal Dolly is a dolly that works on straight track as well as curved track (without having to add any accessories). 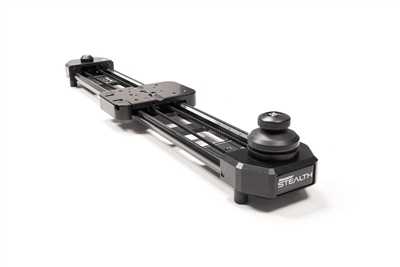 This dolly is adjustable to any track width and doesn't require any tools for set up. 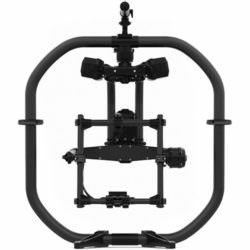 The Dolly Seat can be placed in four different positions on the dolly for various shooting angles. 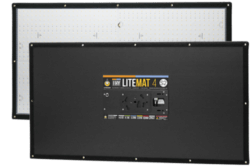 This unit comes in two compact cases and we include 12 feet of straight. 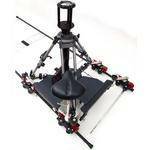 This is an excellent dolly for artists on a tight budget. 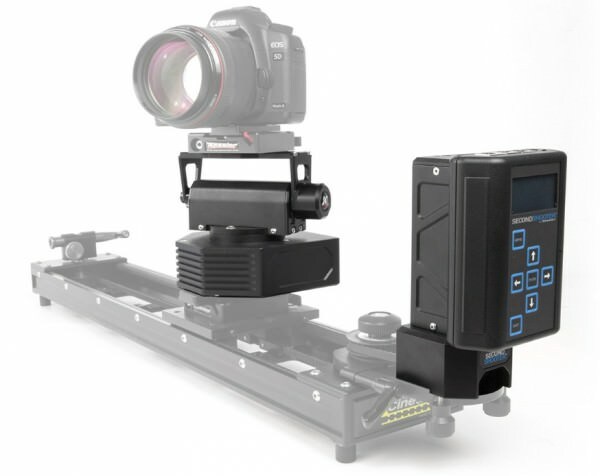 The Dana Dolly can accommodate camera rigs up to 100 pounds with ultra-smooth travel. We include 6 or 8 foot rails and stands especially designed to support the Dana on uneven terrain. This is our most popular Dolly/Slider. The Round-d-Round Doorway Dolly offers all-wheel steering which allows for greater turning flexibility and will turn in a tight 6 foot (2 meter) circle. 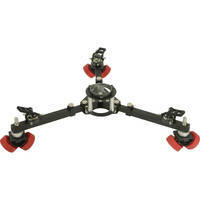 The camera operator seat will mount in six different fixed locations. 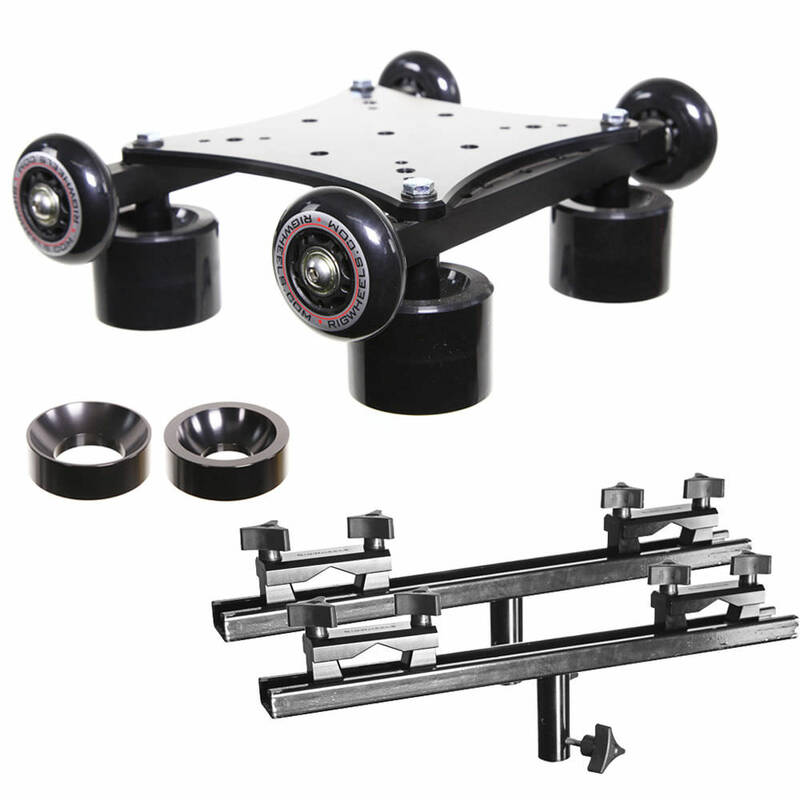 Steering from both ends of the dolly will allow unlimited camera positioning as the dolly rolls on track or on the ground with the standard pneumatic rubber tires. Load capacity is over 1100 pounds. We include the Bazooka camera support.